I was going to make this pattern for sale but I decided to let you all have it for free. So happy New year and Happy knitting. cast on very loosley 117 stitches join in round being careful not to get your stitches twisted. If you need/want a bigger starting ring add in sets of 9 stitches. 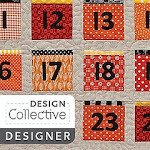 work the four rows of the chart 15 times omitting the last round on the 15th time. 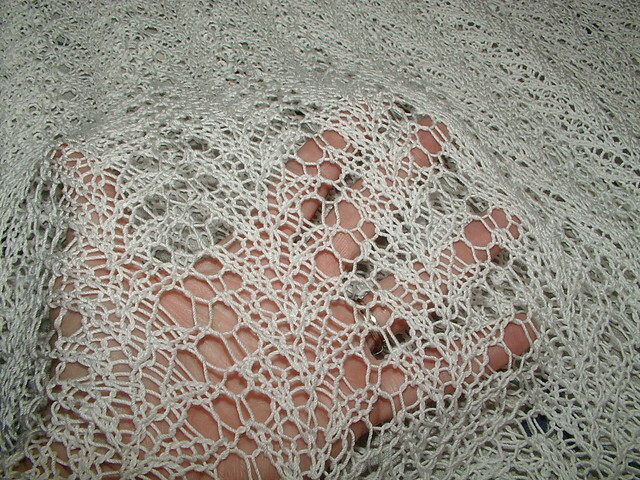 I wet finger blocked mine there is a lot of give in the lace to make it either narrow and long or wide and shorter if you want it longer by all means make more rows. This hits me a little below the elbow and I am 5 foot 7inches 130 pounds. 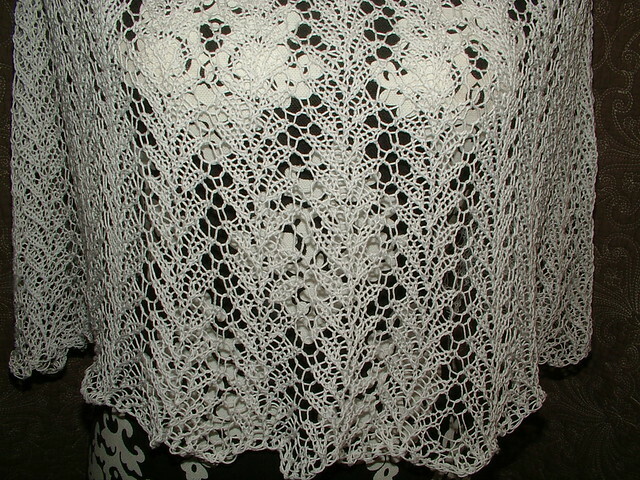 Iif you find mistakes in the pattern please let me know just so you all know I knit lace loose so if you knit tight please add more stitches to your foundation. 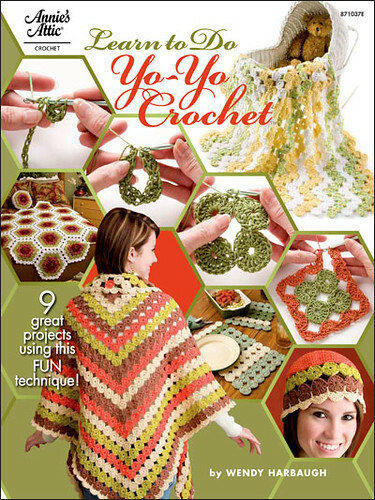 If you use and like this pattern I have a wish list on ravelry of patterns I would like to make. Thank you in advance for being kind and saying thank you back. But please do not feel like you have to. Thank you, can't wait to make this. Hi, what a nice idea for a birthday present for my sister. Can you please tell me what type of wool you used? I cant find any information about Vintage size 10 in the web. Thank you so much. 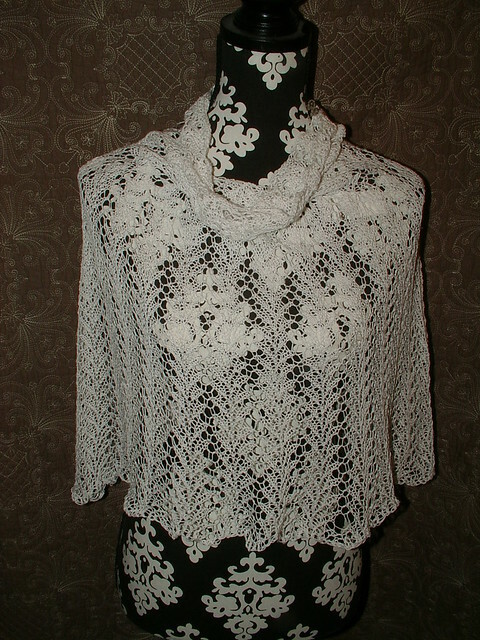 I am making this with lace weight wool yarn, and also plan to make it with the #10 cotton.